EXCLUSIVE: The money’s around, but only for perfectly packaged product. That was the message from film finance experts during a special roundtable discussion during AFM. K5 Media Group, in association with Norway’s FilmCamp and Canada’s Mediabiz, hosted the intimate closed roundtable discussion at Shutters on Saturday evening during AFM to bring together top-level industry experts to discuss the challenges and trends in feature film financing. Several participants pointed to a bottleneck that many films were chasing after the “same 10 actors,” which can get their films financed and greenlit. Talk also turned to international opportuntiies. Mediabiz’s Karine Martin noted that Quebec had a new $100m fund for film that needed to tap into those quality projects. “We want to find the partners to build an intelligent pipeline,” she said. Svein Andersen head of production at FilmCamp, a studio facility and regional fund based near Tromso, Norway, noted that his country was trying to open up to more international co-productions. “We are trying to go into marketplace more. We have to go into the global marketplace, we have to go much stronger in international markets, we need to build a storng commercial industry,” Andersen said. One intiative to spur more cooperation across borders was a new US-Norwegian script initiative, which can also build on the buzz factor of Scandivia’s hot properties over the past few years. 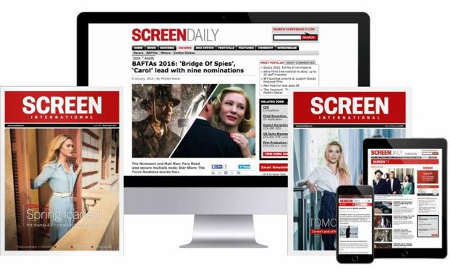 Screen International was a media partner for the roundtable, which was organised by Katrina Wood’s MediaXchange.